The history of Washburn centers around commerce. The Chicago, St. Paul, Minneapolis & Omaha Railroad founded it in 1884, naming it for Cawallader C. Washburn, Wisconsin’s governor from 1872 to 1874. Six years later the town was home to coal docks, a grain elevator, and three lumber mills. 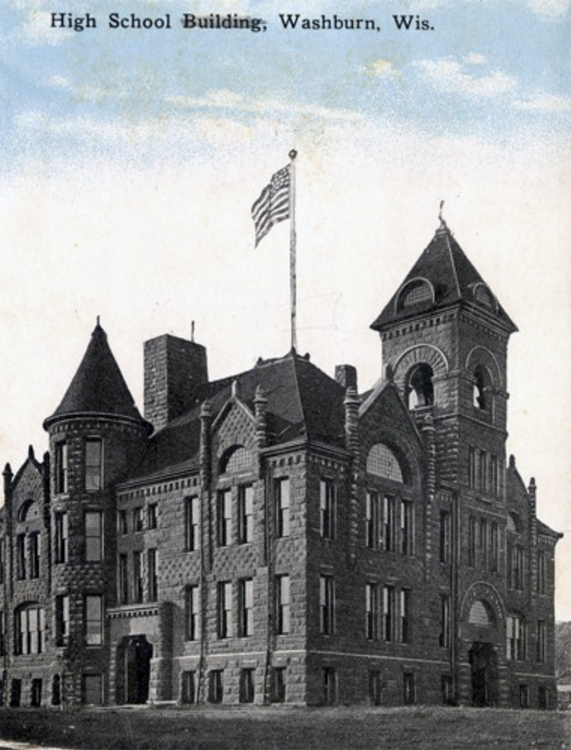 During the 1890s the town built a grand collection of brownstone buildings, including the county courthouse, a Carnegie library, an iron works, a bank, and the current home of Chequamegon Book & Coffee. Much of the red Lake Superior brownstone used in Washburn’s historic 19th-century buildings was quarried locally, some of it right across the bay on the Apostle Islands. The town is so proud of its architectural heritage that it honors the buildings each year on the last weekend of July during its Brownstone Days festival. In 1891 electricity came to the city, and it took the title of county seat from Bayfield the next year. The era of Washburn’s lumber industry, which according to reports cut 100 million feet of lumber annually during the 1890s, ended in 1900 when the area’s pine forests were logged out. Brownstone went out of fashion as a building material around the same time. The grain elevator enterprise and its subordinate shipping industry failed when using trains and trucks became more efficient. Washburn now relies on tourism as its main source of employment.